In a mad lunchtime rush I was able to visit the fresh fruit and vegetable market yesterday. 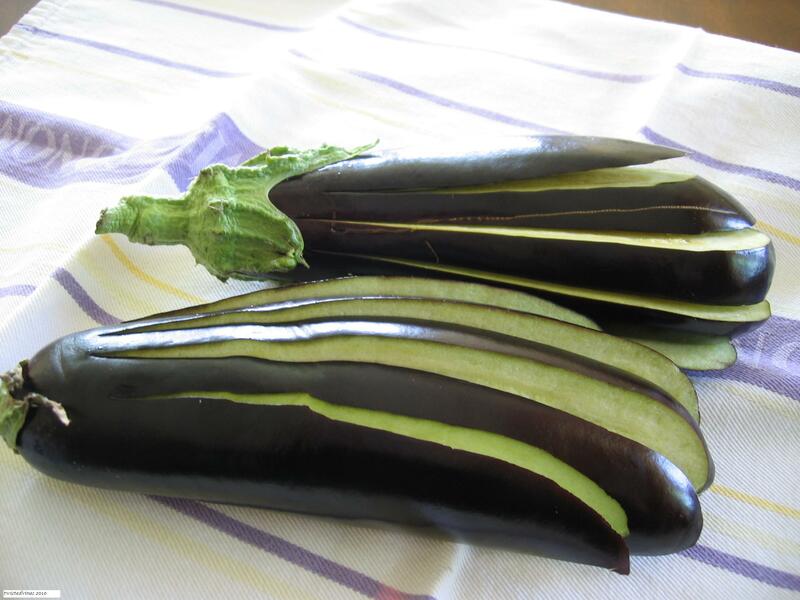 With the start of Summer upon us the range of seasonal produce at the moment is at a high, from green leafy salads, green beans, broad beans, peas, zucchini, the plump reds of tomatoes , peppers and cherries and the “Black Beauty” of the bunch the dark shiny, glossy purple of Eggplant (melanzane). 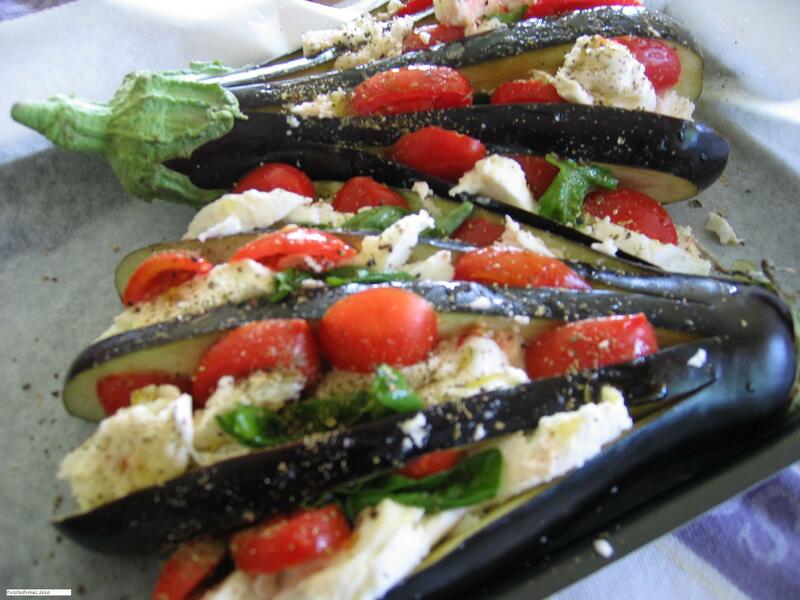 Eggplant is one of those vegetables used a lot in Italian cuisine. The best known recipe I think you would know is ratatouille. But there are many recipes I’ve learnt since experimenting with many Italian dishes. Italian food is simple, each recipe using two or three main seasonal products. That ‘s the key, quality produce and what’s in season. Italian food is also regional, what you may find as the main dish of Veneto – Treviso isn’t the same as you would find in Rome, Sicily or Naples. 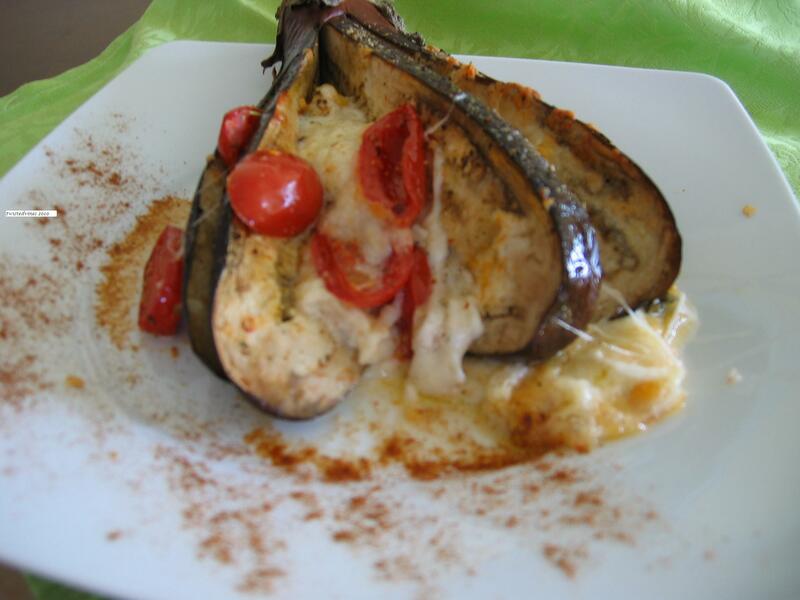 Recipe:Eggplant Flowers * i “fiori” di melanzane, is one of my favourite eggplant dishes. 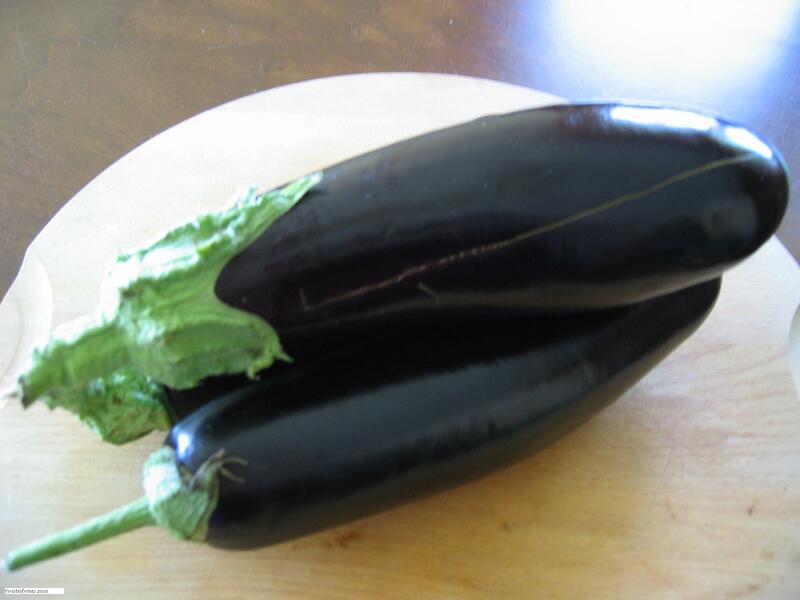 Cut the eggplant long ways, leaving the top uncut. 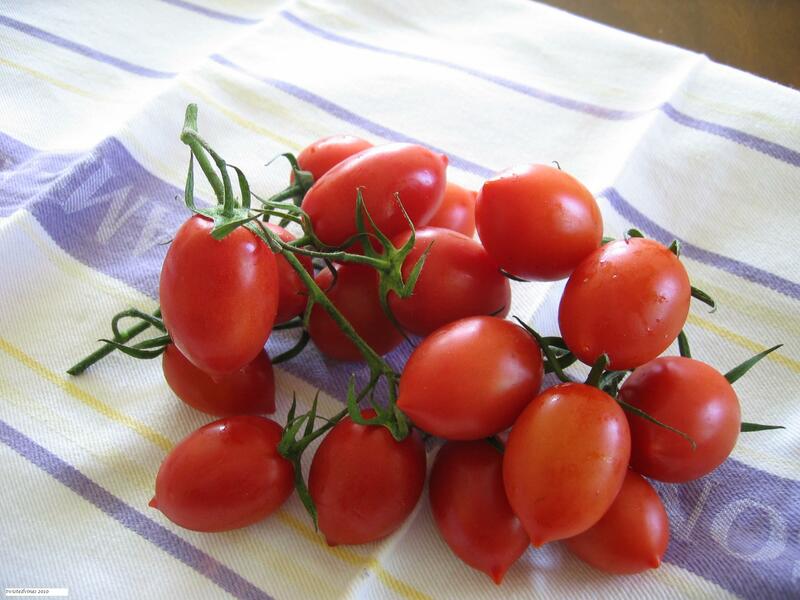 Cut cherry tomatoes into small slices. Cut mozzarella into slices, placing both tomatoes and mozzarella between each slice of eggplant, add fresh basil, I coat mine with olive oil. Sprinkle with dried oregano, season with salt and pepper, and drizzle a little bit of olive oil over the top. Place on oven proof paper on oven tray. Place in oven,cook for 30 minutes. 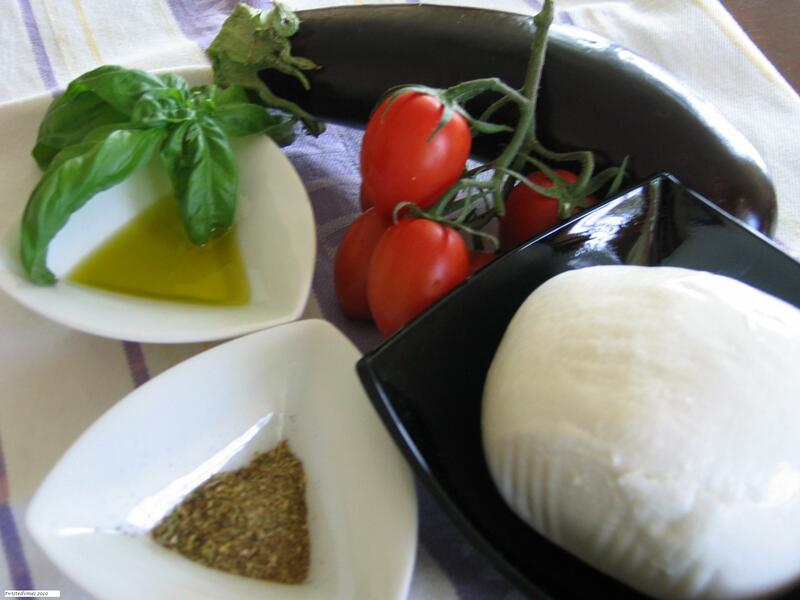 The mozzerella melts like a fondue cheese effect a great side dish or even a meal on it’s own.